In 2016, Angela Estrada was diagnosed with breast cancer at the age of 41. As she was nursing her one-year old, she felt a lump on her breast. After seeing her doctor, he believed it was a clogged milk duct and told her to keep an eye on the lump. When the lump didn’t go away, Angela reached out to the Every Woman Matters program to receive a free mammogram, screening and biopsy. Two additional lumps were found after the screening — one on her breast and within her lymph nodes. After additional testing, Angela’s doctors found two more lumps around her chest cavity. Angela broke the news to her immediate family that she was diagnosed with breast cancer after she and her husband received the results from her tests. 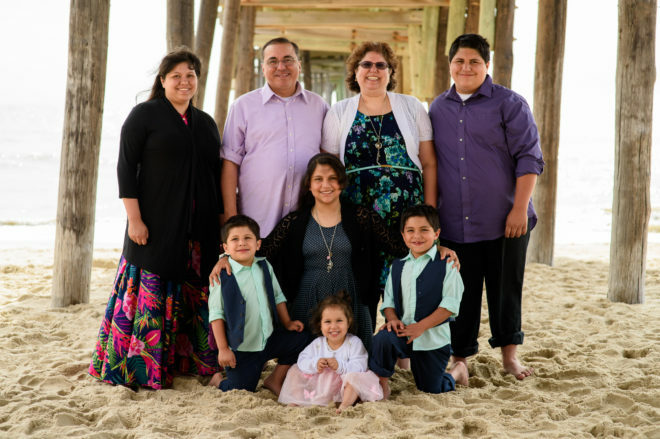 Devastated from the diagnosis, Angela’s six children — between the ages of one and 16 — each took the news differently. Her daughters were supportive and her oldest son wanted to be with her at her doctor appointments. When Angela finished treatment, her doctor encouraged her to participate in the LIVESTRONG at the YMCA program that receives financial support for breast cancer survivors from Komen Great Plains’ donors.